Alana and Theo just wonderful couple! This couple decided to join their bond by Orthodox ceremony. The wedding took place one the most beautiful churches in Santorini, Anastasis. 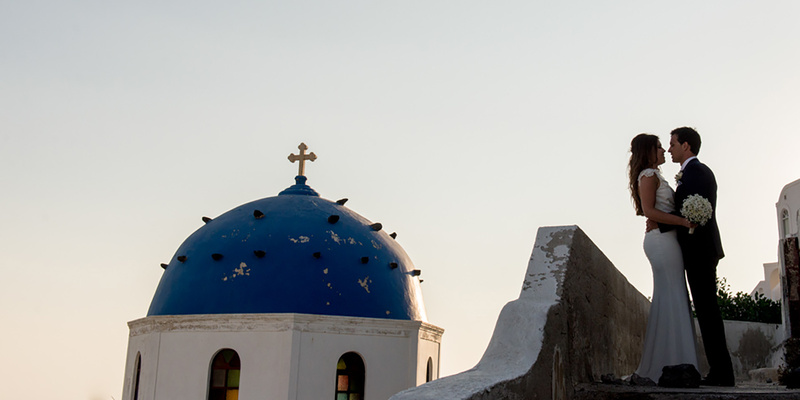 This church located in Imerovigli village and has amazing view to volcano and sea. The bride just has an chic white dress for which you think it was taken from 50's. The bridal bouquet was all white, so simple, but so so chic!